Brighton Eye is one of the leading ophthalmology practices in Brooklyn. Led by Dr. Millie Fell and Dr. Andrew Brookner, who have more than 40 years of experience between them, our team of doctors and nurses are highly trained and have extensive knowledge in all aspects of ophthalmology. One of the common eye diseases that both Drs. Fell and Brookner identify and treat is macular degeneration. Macular degeneration is the most common cause of visual loss in the elderly. It is most common in people with lighter-colored eyes (blue and green), though it may occur in anyone. As a practitioner of ophthalmology in Brooklyn, Dr. Fell is a specialist in diagnosing and treating macular degeneration. Our office is equipped with all of the latest technology in order to evaluate and treat patients with this disease. Brighton Eye utilizes both digital imaging of the retina, and ocular coherent tomography. 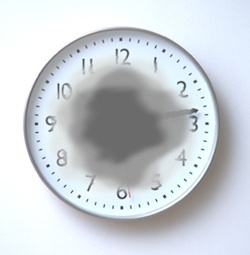 Macular degeneration may cause no visual changes in some people and gradual loss of central vision in others. 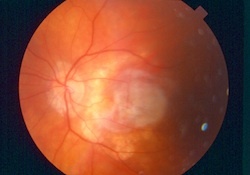 In dry macular degeneration, an abnormal fatty material called lipofuscin is deposited under the retina. This material forms white spots called drusen. The central part of the retina can also atrophy (die), and this may lead to slow central loss of vision in the eyes. 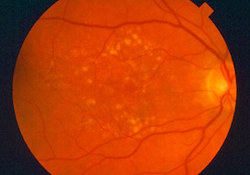 In wet macular degeneration, vessels beneath the retina bleed or leak, and patients can lose vision all at once. Some may also suddenly experience distortion in their vision. Straight lines, such as door frames, may appear wavy. If advanced dry macular degeneration is found in a patient’s eyes, taking eye vitamins, like I-Caps or Ocuvite, twice a day will likely be recommended. Although these vitamins will not improve vision, through years of practicing ophthalmology, Brighton Eye has found that they can help a patient maintain their current level of vision for longer. For patients afflicted with wet macular degeneration, Dr. Fell uses Avastin and Lucentis injections for patients. These intravitreal injections are painless and sight-saving, and are done routinely in the office. For anybody with macular degeneration, Brighton Eyes usually recommends looking at an Amsler grid once a month and making sure there are no missing spots or wavy lines. If patients see such changes on the Amsler grid, they should come to the office as soon as possible, because vision can still be improved early on. To schedule an appointment at Brighton Eye, contact us today.